In a lot of ways, witches and wizards have it really easy: for instance, a few flicks of the wand and the right incantation will take care of most household chores and the occasional Death Eater. 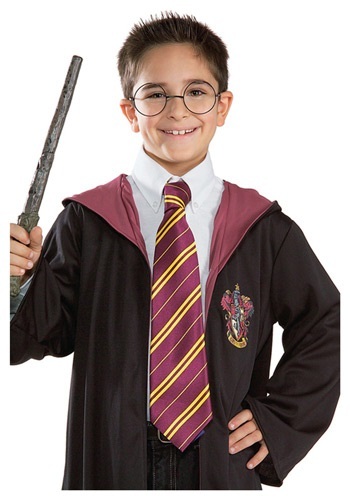 Unfortunately, no amount of magic can help those who live among muggles choose the right outfit each morning. But there are a few convenient accessories that can help, like this Harry Potter Necktie. Everybody will appreciate a young man or lady who’s willing to go to a little extra trouble for a more businesslike appearance—but only those who have been to Hogwarts will recognize the deep scarlet and gold stripes as the official colors of Gryffindor house. So even when you’re trying to blend in, this tie will let you show your true colors! And a change of robes is all you’ll need to move seamlessly between your neighborhood and the magical places hidden in plain sight.